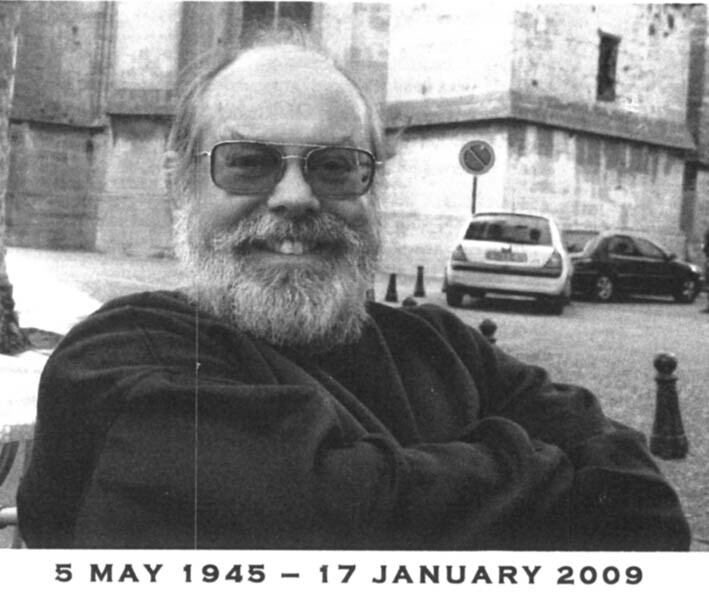 John Robert (Bob) Carruthers, 15 May 1945 – 17 January 2009. Bob graduated from St Edmund Hall (Oxford) having completed his Part II year doing copper chemistry with Francis Rossotti. He worked for his D. Phil. (still on copper chemistry) with Keith Prout and Francis, and it was during this work that he became interested in crystallography. For one of the materials he worked on, aquo(maleato)copper(II), he observed “When the diffraction pattern was indexed, it became apparent that the crystals were unlikely to be orthorhombic, as a strange set of absences were found”. The crystals were twinned. “overlapped reflections were arbitrarily assigned half the measured intensity until a program was written which would include both components in the least squares”. “as there was not sufficient space [memory] it was necessary to rewrite the [AUTOCODE] program in [English Electric Leo Marconi] KDF9 machine language”. AUTOCODE was a symbolic language, rather like a simplified FORTAN. Machine languages are basic to the electronics of the computer, and the programmer has the power and the responsibility of working hands-on with every memory location, even to the extent of synchronising the calculations with the revolutions of the bulk storage devices. So began Bob’s life with computers, and his exceedingly productive partnership with John Rollett. Immediately after writing his DPhil thesis in 1969, Bob was awarded a fellowship from the Accademia Nazionale dei Lincei in collaboration with the Royal Society which enabled him to work in Rome. There, he set about working with Riccardo Spagna re- implementing the Rollett AUTOCODES in FORTRAN. This program included features such as “riding” and rigid-body constraints, and some of the underlying data-structure can still be found in CAOS (Cerrini S. & Spagna R. (1977) Crystallographic software for a mincomputer, IV Eur. Crystallgr.Meet., Oxford, UK, Abstract A- 212). On Bob’s return to Oxford he worked with Rollet and Prout, again re-writing the program from scratch but building upon his experiences in Rome. This new program, called CRYSTALS, could handle up to 9 twin components and had a good range of restraints (including facilities now often called SIMU and DELU). Perhaps the most novel feature was “user-defined restraints”, in which the user could define their own equation of restraint as part of the input data, which was then analytically differentiated by CRYSTALS. The equation parser and differentiating engine were all written in beautiful FORTRAN, and are still working, largely unmodified, in the current version of CRYSTALS. Bob’s attitude to programming combined a meticulous attention to detail with a far reaching ability to plan on an expansive scale. After his Post Doc, Bob started work for Oxford University Computing Service, writing software for data-archiving. However, he continued to work on CRYSTALS whenever he could, and completely re-wrote the underlying data management for a third time when the university upgrade its mainframe to an International Computers Limited (ICL) 2980. In about 1979 Bob left Oxford to work for Control Data Corporation, implementing meteorology programs on their supercomputers. Apart for a brief period in the 1980’s when he worked with Keith Davies at Chemical Design, Bob has spent most of his career implementing very large FORTRAN program systems, and in recent years modernising massive legacy packages. Weather forecasting may have profited from his work, but there is no doubt that crystallography lost an outstanding programmer when Bob left Oxford. When not working with computers, Bob was a dependable drinking companion and a formidable Bar Billiards enthusiast. Some of us still remember Bob and George Sheldrick working with other young crystallographers to try to drink the bar dry at ECM 4 in Oxford in 1977. His brilliance as a scientist did not spoil his personality – he as always modest, amiable and good fun. 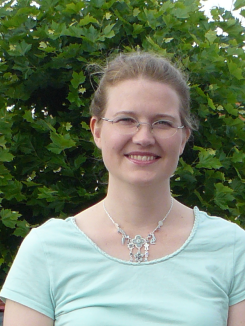 Kirsten has been a visiting scientist in the lab since February 2009. She spends one to two days in Oxford doing synthesis of Open-framework germanates and taking a keen interest in difficult structures. Kirsten’s primary research interest is in “Crystallography on the edge”, studying superstructures, diffuse scattering and modulated structures. As a natural part of being a post doc at Diamond she also takes an enthusiastic interest in collecting data on small and challenging crystals. Kirsten is also local contact when the Oxford BAG goes to Diamond for beamtime on I19.